Read about how the brave heroes step aboard awesome vehicles and defeat their enemies. 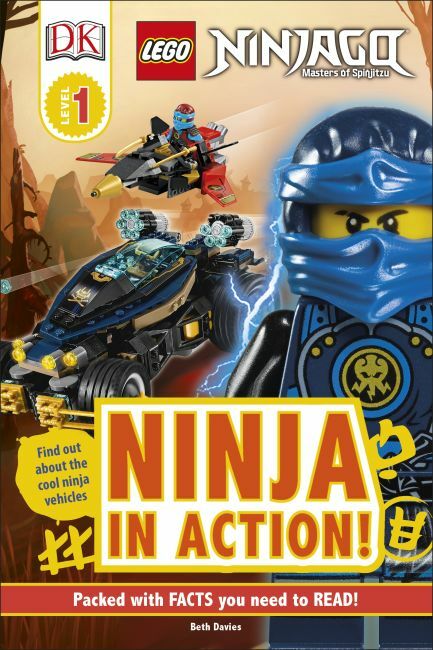 This Level 1 book is illustrated with new LEGO NINJAGO 2017 sets, and has true kid appeal. Narrative spreads are supported with captions and annotations, plus a quiz, to encourage children to develop comprehension skills. Race into battle with the LEGO® NINJAGO® heroes.